It looks like wonderful clean carpet now ... make sure it stays that way with Carpet Tallahassee & new Scotchgard™ protector for carpet and upholstery. Scotchgard keeps carpet cleaner, guaranteed. Free with any room steam clean! A thourough examination of your carpet & a solution pre-spray is applied before extraction begins. Providing maximum carpet cleaning results. Our stainless steel high pressure/ high suction wands leave little water behind by gently applying the hot soft water solution in a controlled manor and quickly extracting it. Allowing for short dry times. Removes dust, living and dead mites, tons of allergens & tiny microscopic pollutants that can collect in your carpeting; these irritants can trigger allergies & major breathing problems. Once extraction is finished a final spray of 3M Scotchgard is applied using a controlled sprayer for even and complete application. The solution is then "raked" or worked into the carpet fibers using a speacialty carpet rake tool. This action also revitalizes heavily matted areas of carpet such as high traffic, seating and dining areas. For more information on Scotchgard click HERE to visit 3M. A professional spray-treatment with "Scotchgard" Carpet Protector provides a barrier that makes it difficult for dirt particles to cling to carpet fibres. Routine vacuuming becomes more effective. Your carpet looks cleaner longer. And a cleaner carpet means less wear and a brighter appearance. With this long lasting barrier on your carpet, most spills can be easily cleaned up. "Scotchgard" Carpet Protector has unique fluorochemical properties that make it incompatible with dust, dirt and grime. This protective fluorochemical barrier helps prevent dry soil, oil and water based soils from marring ones carpet's appearance because the "Scotchgard" protection helps keep these soiling agents from penetrating the carpet fibres. Since carpets treated with "Scotchgard" Carpet Protector look clean longer, time between cleanings can be extended. Dry soil is held loosely between the treated carpet fibres and can be easily removed with simple vacuuming. 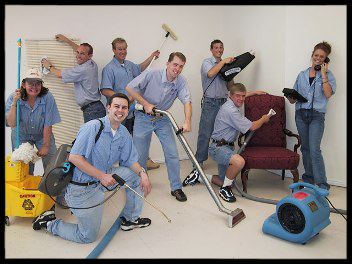 Carpet Tallahassee has been cleaning carpet since 1998. Carpet Tallahassee has been installing carpet since 2014. Carpet Tallahassee has been in business for 18 years! ECOgent is our main cleaning solution and we are very proud to offer it. ECOgent is the only carpet cleaner presently meeting PRC-097 criteria. It embodies all the right principals--renewable, low toxicity, low volatility, and readily biodegradable under both aerobic and anaerobic conditions. It has been acclaimed even by chemically sensitive users, and can be used in cold water. ECOgent has a extremely low potential for environmental illness and endocrine disruption. Designed for maximum indoor air quality and for use by environmentally hypersensitive individuals. No animal testing. 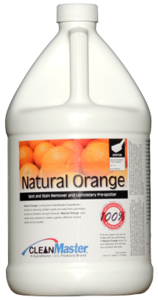 "Natural Orange" super high concentrate Contains no chlorinated solvents and is 100% environmentally friendly. Cleans where solvents are restricted to easily break up paint, dirt, adhesive, smoke, nicotine, wax, lipstick, grease, gum, mascara, oil and loads more. Leaves behind a lasting pleasant "natural" citrus scent. Carpet cleaning, or Steam cleaning is also known as hot water extraction. Let's face it, sometimes certain areas of our carpet just get flat out abused. Thats where Bridgepoints' "Traffic Slam" comes in. Perfect for heavy soils, grease, and soot build up. Traffic Slam is a surfactor that goes to work the second it hits the carpet. Suspends and holds soils to be easily rinsed out. Free rinsing and non toxic to the environment. Traffic Slam may be needed depending on your carpets condition. Ask us about it.